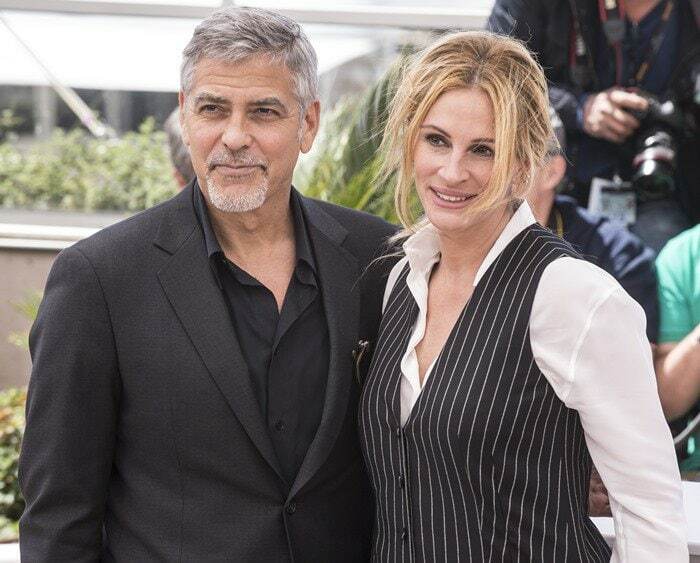 Julia Roberts smiled to the cameras alongside George Clooney while attending the photo call for their upcoming film ‘Money Monster’ held during the 2016 Cannes Film Festival at the Palais des Festivals on Thursday in Cannes, France. 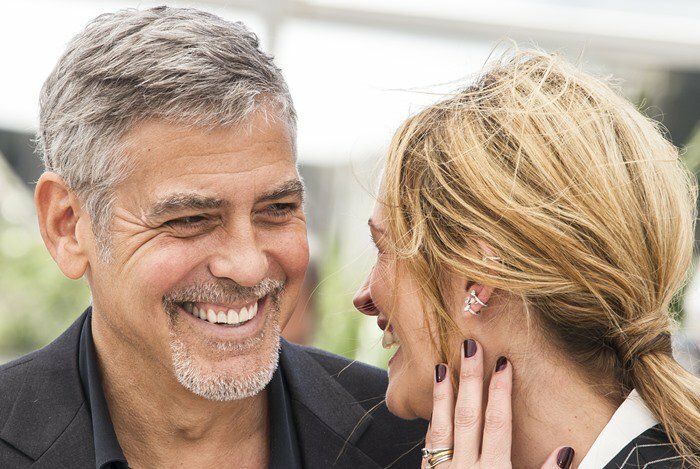 They were also joined by director Jodie Foster, co-stars Caitriona Balfe, Jack O’Connell, and Dominic West, screenwriter Jamie Linden and producer Daniel Dubiecki. The 48-year-old American actress and producer sported a black and white pinstripe Givenchy jumpsuit paired with a button-down white shirt from the same French luxury brand. She completed the masculine and monochrome ensemble with a pair of towering Givenchy pumps. How do you like Julia’s tailored Givenchy jumpsuit? We also must mention that Jodie Foster looked stunning in a stretch wool princess dress from Max Mara styled with a pair of strappy silver heels. Did you know she has beautiful feet?